Have You Recovered from Your Holiday Hosting? What if you haven’t? If you were to ask me this question today, I’d have to sheepishly admit, not really. In fact, between storms, New Year’s, lack of Internet, and other demands, I blinked and the double-digit days of January arrived. Tomorrow I welcome one of my college roommates and her two children for a few nights and host our homeschooling moms group here Friday evening. And I can’t say I feel quite up to it. Now, most of you know, I am a big believer in balanced living and taking breaks. However, I ALSO believe that once I’ve made commitments where backing out affects others, I need to see it through as absolutely best I can. (It’s also why I want to see women feel much more at ease with saying ‘no’ so their “yes” is “YES”!). And so I continue on. Because the older I get, the more I understand if I’m committed to living, breaks don’t look the same as they used to. Those of you who are parents know what I’m talking about. There’s nothing like parenthood to make one realize there is NO. GOING. BACK. You understand a level of relentlessness in your very gut and rely on strength you never knew you needed, don’t you? One day, living in a college town, for some reason I no longer remember, I boarded one of the crowded university buses with two children under school-age and a large stroller. As I struggled to get seated, I listened to the students moan and groan about how tired they were and how hard their schedule was. I wanted to laugh, but I almost cried. I’d never been more tired in my life and there was no college-type break to be seen. (Sleeping in? A weekend of movies and take-out? Reading a book as long as I wanted to? Ha!). Can you believe Valentine’s Day is just a little over one month away? And Easter is only a little over a month after that! It’s way past time for me to replace the Christmas tea party planner with the winter/early spring version. I barely put the Christmas wrapping away and I need to figure out a birthday gift for this Saturday. Life just keeps on moving! And so the question remains, have you recovered from your holiday hosting? What if you haven’t? What if the next projects/plans/commitments/parties are staring you in the face and a weekend to yourself is no where on the horizon? I spend one half hour at the beginning of the day taking time to think, write, stare into space, pray, whatever I need before I tackle the to-do list. I sip the mellowing, comforting, and healthy brew of tea throughout the day. Good for fluid intake and simple pleasure. I stick to my basic routine as much as possible and don’t multi-task. This is very hard for my personality and I have to remind myself what I need to be doing over and over again. And I make room for simple beauty…a lit candle, a grocery store bouquet, the best meal I can afford, and longer hugs. I’ve been in hermit mode since before the holidays. Business is slow due to the fire damage and road closures due to flooding risks and the mud and rock slides. What I have found myself doing in focusing on the projects that work gets in the way of. My ringer is shut off on my phone before 9am and after 6pm. 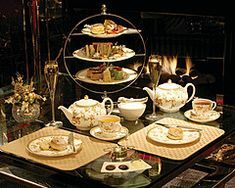 My escape is to hike out in the wilderness but I miss those afternoon teas from when I lived in England. I love what you do to take care of yourself. You are a great role model! Here is one that I also have found helpful…I am honest with myself and my friends in the moment. I might say to my visitors, I am feeling overwhelmed and could really use some help – would you mind helping me make this meal? Most guests delight at the chance to take part!